After the shocking news of the death of 3-year old Maksim Kuzmin, whilst in the care of an American adoptive family, his biological mother now wants his younger brother, Kirill Kuzmin, 2, back from the US. She claims to no longer be abusing alcohol. The biological mother of Maksim and Kirill, whose parental rights was suspended in 2011, now wants to raise her younger son herself. Deprived of her rights because of her life style, then 21-year old Yulia Kuzmina had to give her older son Maksim to an orphanage. Later her younger son Kirill was taken away from her for the same reason. In September 2012 their adoption by a US couple was approved. Now Yulia says staff from a local Department of guardianship asked her to become a surrogate mother for a childless couple when she was pregnant with Kirill. “But then they just took him away from me,” Yulia said in the interview to tabloid publication Lifenews. Now 23-years old Yulia says she has a job and has no problems with alcohol. “I ask people to help me return my Kirusha [diminutive for Kirill] back home, restore my rights. I have changed, I cannot allow that my second child dies. I missed boys and I don’t want to believe Maksim is gone. This is too awful to be true,” Yulia said. Yulia Kuzmina has addressed Russian children’s rights ombudsman Pavel Astakhov, asking for help in the restoration of her rights. Astakhov promised on Tuesday to legally pave the way for Kirill’s return, as authorities are now looking into repealing the adoption and returning the little boy back to Russia. “I believe that we have good cause to demand for Kirill’s return to Russia. The child has grandparents in Russia and Russian citizenship, so we have the right to insist on the return of a Russian citizen,” Astakhov said at the press-conference. Social care officials insist there are sufficient legal grounds to take the boy from his American adoptive parents, citing charges of child abuse, among others. According to the plaintiffs, the death of one of the siblings meant that his living brother could be repatriated. It is still unclear though if Yulia Kuzmina will be allowed to raise her younger son Kirill, but authorities noted that many Russians have empathized with the tragedy and there are at least 10 families willing to adopt Kirill. Little Kirill, or Christopher Elvin as he was called in the US, is now living with relatives of his adoptive father in Texas. After the death of his older brother came to light, he was moved from the house of Laura and Alan Shatto. The Shattos adopted two Russian boys in November 2012, just two-and-a-half months before the tragedy occurred. 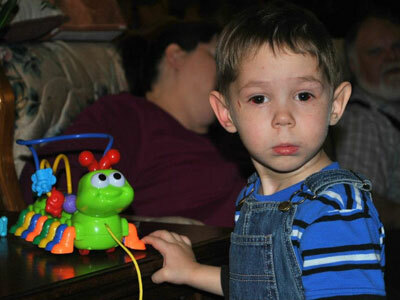 Three-year-old Maksim, or Max Alan Shatto, died in Texas on the 21st of January. Both Shattos are yet to be detained, with no official autopsy or investigation results released. Suspicions of what role Maksim’s adoptive parents may have played in his death arose after unexplained bruising and injuries were found on his body. Russian diplomats were only made aware of the incident in the middle of February, having to source the information through their own channels, rather than being notified by US authorities. Russia’s adoption ombudsman Astakhov, was the first to report about Maksim’s death, which in Russia became known almost a month after it occured. In Moscow senior officials have slammed Washington for its apparent reluctance to report the a death of another Russian child, who has officially become the 20th child to die in adoptive care in the US. US Child Services are also investigating claims that the child was severely abused, but thus far cannot verify anything, stated Texas Child Protective Services (CPS) spokesman Patrick Crimmins. The Russian Parliament’s upper house, the Federation Council, has called on the US Congress to pinpoint all Russian children, adopted in the United States between 2011 and 2012, and agree joint moves to protect them. The Russian Investigative Committee has filed 11 criminal cases over the violations of rights of Russian children who have been adopted in the United States. Some in the Council suggested banning adoptions of Russian children by parents from abroad, not only from the US. However, Russia’s presidential press-secretary did not agree with the proposal saying that Russia has no problems with other countries. “The ban is because Russian authorities are unable to control the life and conditions of adopted children in the US. 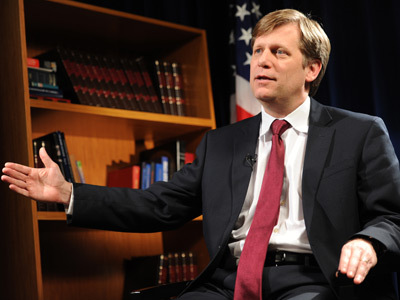 But there are no such problems with other countries,” President Vladimir Putin’s press-secretary Dmitry Peskov remarked. There have also been calls to return all children adopted by American families back to Russia. Less than a month before the tragedy Putin signed off on the so-called ‘Dima Yakovlev Law’, which banned the US adoption of Russian children. 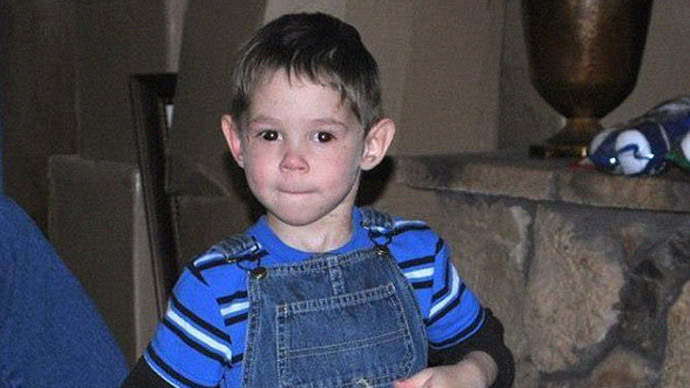 The law was named after Dima Yakovlev, an 18-month old Russian boy who died after his adoptive American father left him locked inside a vehicle for an extended period of time on a hot summer’s day. As in case of Maksim Kuzmin, no official report of the death was released by the US State Department, notifying Russian authorities. Child protection experts continue to add that adequate monitoring of child adoptive services is impossible when adoptions in the US are handled at state level. Niels Hoogeveen of the Pound Pup Legacy in the Netherlands shares that belief. In an inverview to RT he said that "the federal government has no control over what happens in adoptions. No system in place that checks parents better - before and during the adoption. There is screening, but it's not properly done. 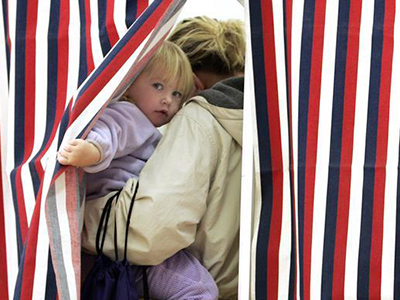 And post-adoption monitoring doesn’t exist in America because of the right to privacy." Others, like Roelie Post of the Foundation Against Child Trafficking, also believe that the split between Federal and State laws in the US puts children under increased risk.